Long before Riverdance, Amalia Hernandez understood the power of rhythmic thunder. 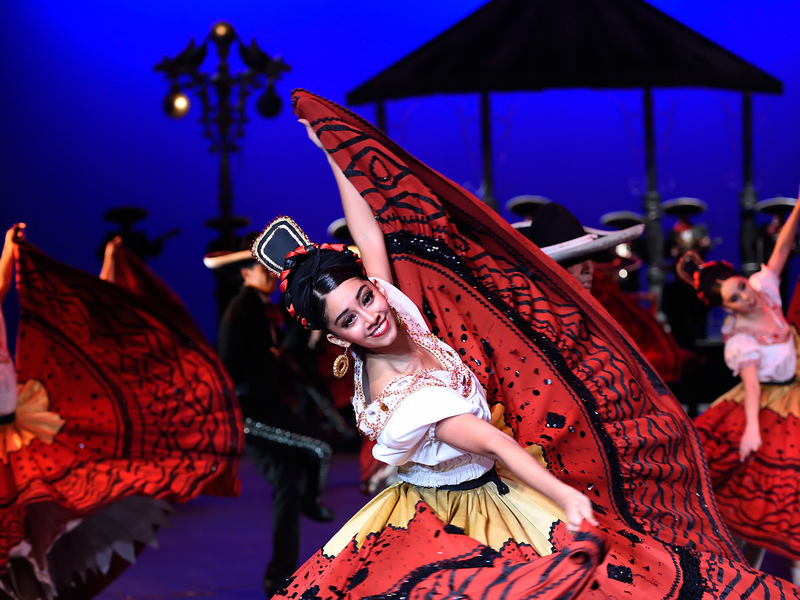 Hernandez's Ballet Folklórico is one of the most celebrated folk ensembles in the world. This 60-member artist ensemble, complete with full mariachi band, returns for an encore performance showcasing the music, dance and costumes of Mexican folklore from pre-Colombian through the modern era. This is a free event for UNL Students! Reserve tickets online at go.unl.edu/artsforall. Pick up your ticket at the Lied Center Box Office during its weekly hours, between 11 a.m. and 5:30 p.m., the week of the show. Prior to the show, the Lied Center Student Council is hosting a Pre-Show Party in the Johnny Carson Theater. Beginning at 6:30 p.m., this event will feature traditional Mexican dance lessons, snacks, and crafts that surround Mexican culture, specifically El Día de los Muertos. Through the Lied Center's Arts for All program, University of Nebraska students can get free tickets to nearly half of the Lied Center’s season events. Tickets for the remaining shows are half off. Learn more about exclusive tickets. Order your free tickets.